There is no doubt about Bamboo Blinds being the new trend. They are durable, come in numerous designs and look fantastic on any window. Bamboo blinds are obviously made of eco-friendly material and can be used to create many decorative options for your room. Great Versatility: Bamboo blinds have a great versatility in design and texture, thus are a great choice over other types of blinds. Moreover, creating your own design and pattern on a Bamboo blind is entirely possible, whereas the same cannot be said for other blinds. Trendy: These are extremely trendy and are an instant eye-catcher. For instance, a light shaded wall with a light colored Bamboo blind looks calm and subtle, while you can make a statement with the dark shaded blind on the same. Relaxation Sensation: Bamboo blinds are known for their ability to provide a room with texture. When setup, these pull the place together and give you a feeling of organic ease. If the right colors are put up, these can help your mind relax after a hard day’s work. Eco-Friendly: They are made of eco-friendly material and give you the light filtering and blackout options. One can easily setup bamboo blinds depending on the light requirement of the room. 1. Roll Up Bamboo Blinds: These are the most common type of Bamboo blind that is used to cover windows, doors and exteriors. These are simple and can be rolled up whenever necessary. 2. 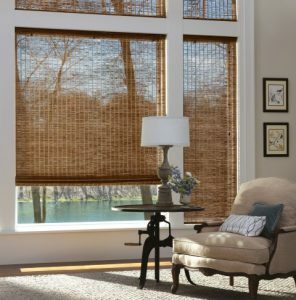 Light Filtering Bamboo Blinds: These Bamboo blinds are customized in a way to allow the limited amount of light inside. The density and shape of the Bamboo is customized to achieve the goal. 3. Blackout Bamboo Blinds: These types of wooden blinds are needed when you have no intention of allowing the light inside the room. These are usually in dark colors and have a high density of Bamboo. 4. Outdoor Bamboo Blinds: This type of blinds are designed mainly for exterior covering. These are strong, durable and protect the house from heavy wind and dust entering the house. There are many benefits of hiring us for your Bamboo blinds supply and setup. High Quality: We specialize in providing only the best quality and durable Bamboo that will stay strong until you have the change of patterns in mind. Variety Options: We specialize in making the best in shutter and shade products. Also, you are completely free to choose among the numerous designs and patterns that you think are suitable for your house. Professional Consultant: Our window treatment consultant will provide you with the best possible products that will definitely fulfill all your functional needs. Moreover, there is no need to hesitate in conveying your thoughts as they are also taken into consideration while selecting the most suitable product. 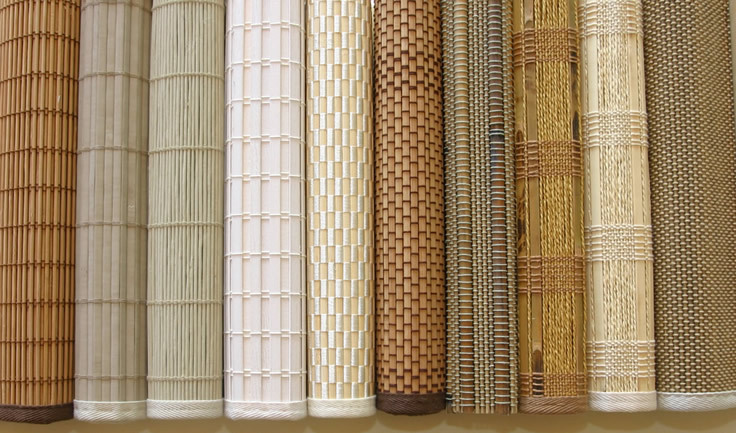 Customers Orientated: Providing the right customer service is our main objective and hence, we are ready to help you in every aspect of choosing the right Bamboo blinds for you house. We are always available for customer support and try to solve every problem with the best possible solution. 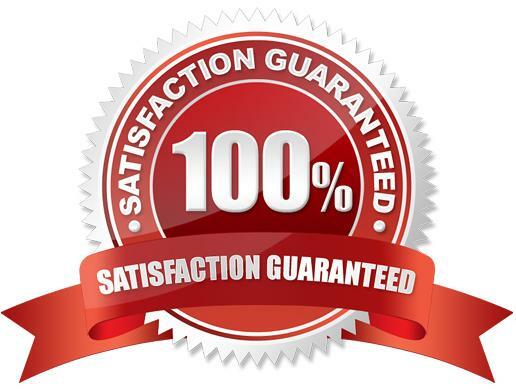 Customer satisfaction is our main motive and we strive hard to provide the best quality products for your house.